The floods that ravaged Haiti in the aftermath of Hurricane Jeanne in September 2004 had their origins in the upper watersheds of major river systems that empty at Gonaives and Port de Paix. The effects of intensive rainfall in these watersheds were aggravated by the degraded condition of their surrounding hillsides. In addition to killing thousands, the flood water draining off the hillsides damaged thousands of hectares of irrigated lands and put the livelihoods of thousands of households in jeopardy. Tackle the immediate challenges faced by affected residents by restarting agricultural production. Address the roots of the problem by stabilizing the upper watersheds. Build on existing organizational structures so that assistance will have long-term benefits. 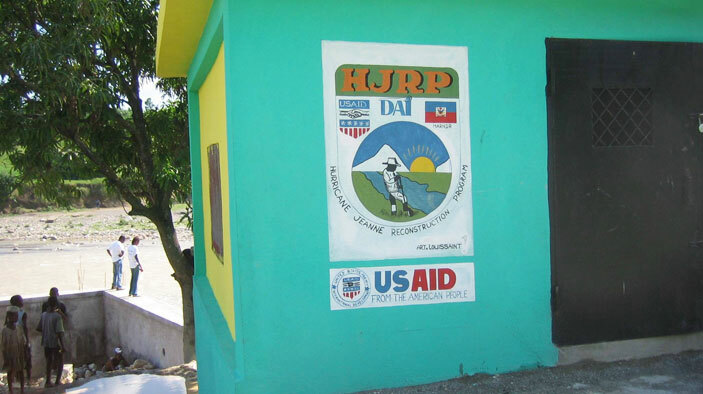 In the lower watershed, the project helped water user associations replace equipment and strengthen their organizational capacity to restart and fortify irrigation enterprises. In the upper watershed, the project assisted farmers in stabilizing hillsides and increased productivity.